A 47-year-old man named David Burgert is the focus of a federal manhunt in Montana after he initiated a gunfight with Missoula County sheriff's deputies on Sunday, and then fled into the Lolo National Forest. 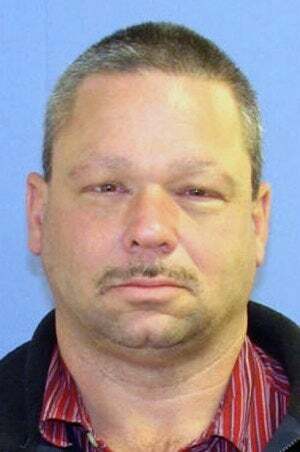 Authorities told the AP that Burgert may have food and ammunition stashed in several pre-planned locations in the forest. Agents from the FBI, local sheriff's deputies, the U.S. Marshals Service, the Montana National Guard, and officers from other agencies are involved. Burgert, a "survivalist," was a member of a Montana terrorist group called Project 7, and spent time in prison for creating a government hit list. Oh, sorry! He was part of a "militia" group. Burgert's a fat, mustachioed white dude who wears fanny packs (and probably jean shorts) and once planned to assassinate local politicians and wage war against the National Guard, so he's an "ex-militia leader," not a terrorist. It's funny how certain words are so loaded, isn't it? Last week, he was stopped by the Montana Highway Patrol for a moving violation. He told patrolmen then "he wasn't going to be taken down like last time" and that "it would take a SWAT team" to bring him in, [Missoula County Undersheriff Mike] Dominick said. Sounds like Burgert has chosen the "suicide by cop" way out. Now, replace "David Burgert" in any of the articles on the manhunt with, say, a non-white dude sounding name and... shazam! You've got an international terrorism media feeding frenzy.